AA6E Station Log: First FreeDV on Flex 6500! First FreeDV on Flex 6500! I'm giving an "SDR" talk in a few weeks, and I thought I should try out some new (to me) stuff. 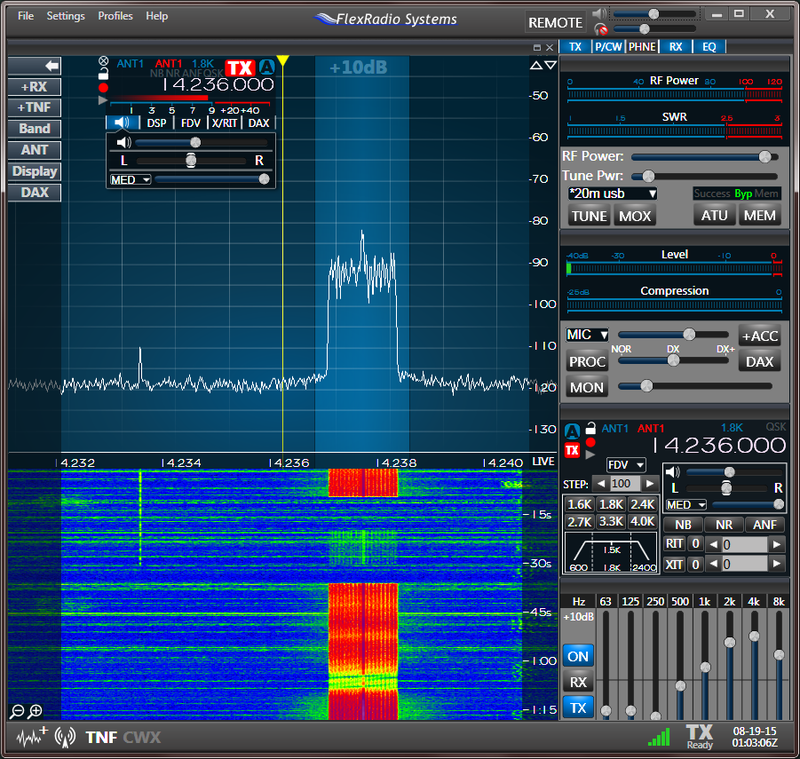 My Flex-6500 supports FreeDV as a built-in "waveform" app with some help from the Windows PC. Nothing was happening on the magic frequency, 14.236 MHz, so on a lark I gave a call. To my surprise, I got a quick answer from Walter, K5WH, in Houston TX. The band was up and down, but he was 90% copy at least, and I seemed to make the grade myself! 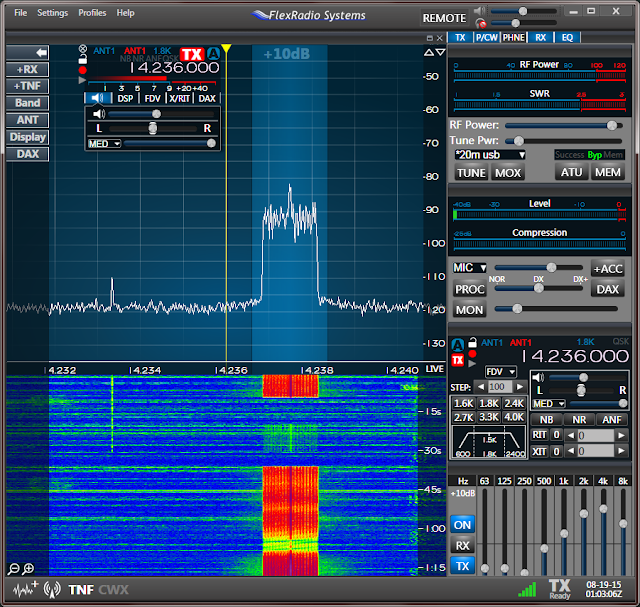 FreeDV (FreeDV.org) is an open-source digital voice system, designed especially for minimal bandwidth communications on the HF bands. Voice fidelity isn't perfect, depending a little on current signal levels, but it's remarkably good for ~1.5 kHz (less than normal analog SSB).